Capella University is one of the most frequently searched universities in America, according to a recent internet keyword search of American colleges. 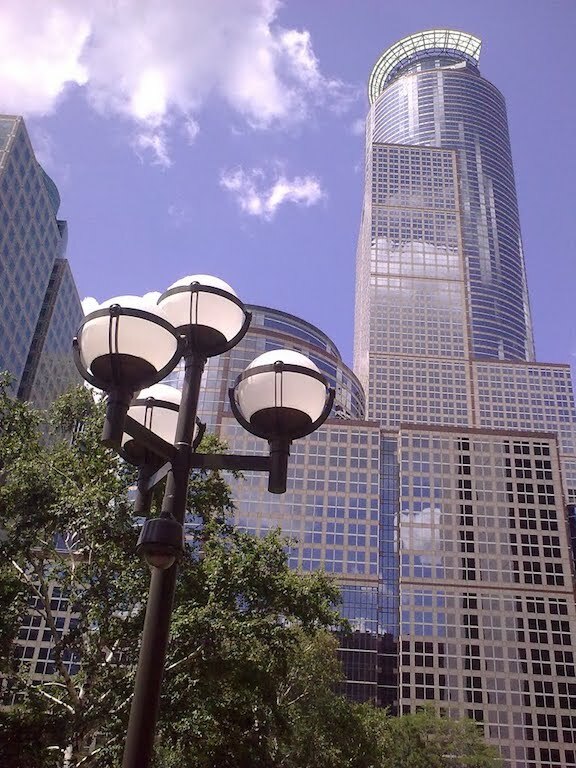 Capella is a for-profit online research college based in Minneapolis, Minnesota. The college was established in 1993, and currently serves an enrollment of more than 35,000 undergraduate and postgraduate students. Students at Capella can choose from about 170 graduate, undergraduate, and certificate programs. Most Capella students are graduate students. Undergraduate applicants without any transfer credits must pass a university-approved exam to be admitted to Capella. Most students at Capella are enrolled part time. Roughly three out of four students are female. The average age of a Capella student is 40. Capella students hail from all 50 states and more than 60 countries. Eighty-five percent of the faculty members hold PhD degrees. Notable Capella alumni include CEO Curtis Crawford, U.S. Senator Tammy Duckworth, video game designer Christopher Erhardt, and Jennifer Welter, the first female coach of a men's professional football league. Capella is regionally accredited by the Higher Learning Commission (HLC) of the North Central Association of Colleges and Schools. Individual programs are further accredited by the appropriate accreditation committees. Here are the answers to some of the most frequently asked questions about Capella. 1. Where is Capella University? 2. What types of degrees are offered at Capella University? 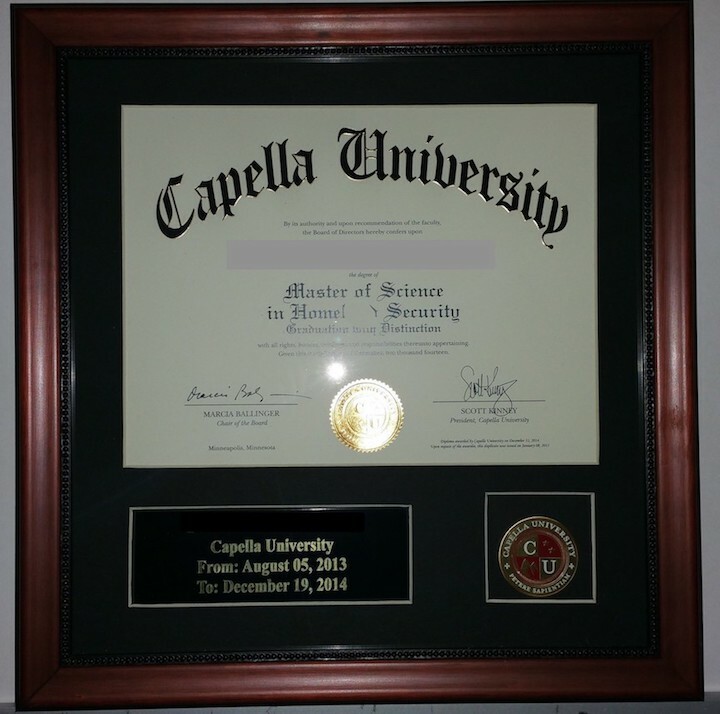 Capella offers Certificates, Bachelors degrees, Masters degrees, and Doctoral degrees in many fields of study. 3. What undergraduate programs are offered at Capella University? 4. What graduate programs are offered at Capella University? 5. Why should I attend Capella? Capella is a fully accredited university. Degrees from Capella can be earned fully online, from anywhere in the world. Capella has many degree and certificate programs to choose from. 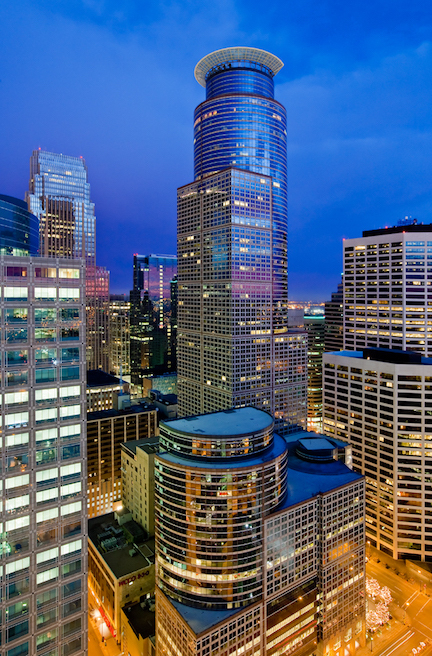 In terms of enrollment, Capella is one of the largest universities in America. Capella features an innovative online technology that assesses a student's performance. Capella sometimes offers college credits for past experiences. Capella offers support services for military personnel. 6. How much does it cost to attend Capella? The tuition for Doctoral degree programs is anywhere from $525 to $925 per credit, or from $3,810 to $5,267 per quarter. The tuition for Masters degree programs is anywhere from $424 to $780 per credit, or from $2,300 to $2,500 per quarter. The tuition for Bachelor degree programs is anywhere from $347 to $402 per credit, or from $2,300 to $2,700 per quarter. The tuition for Certificate programs at Capella is anywhere from $402 to $780 per credit, or from $2,300 to $2,500 per quarter. Additional fees may also apply, such as application fees, textbook fees, transcript fees, and insurance fees, among others. Students enrolled at Capella often receive financial aid, as long as they successfully complete the FAFSA form. 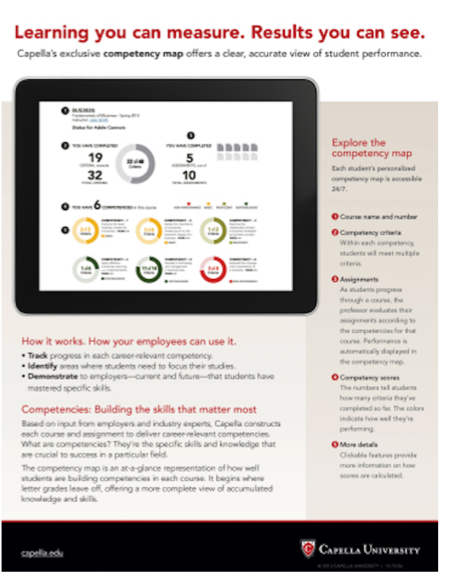 Above: Capella's innovative "Competency Map"
7. What is the contact information for Capella University? You can reach the main office of Capella toll free by calling 888-CAPELLA (227-3552). To speak with an enrollment counselor at Capella, call 866-808-8681.